No, these aren't cracks in the wall. Nor is it the work of a super-sized, industrious spider. 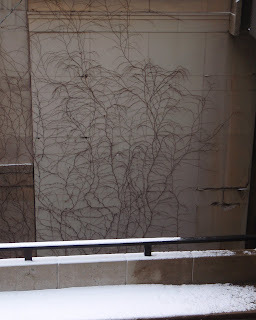 They are vines in their winter, leafless, form.